Rural roads are more dangerous than they should be. Major rural roads are often not built wide enough to comfortably accommodate motorised traffic overtaking pedal traffic, and minor rural roads are simply too narrow for most motorised traffic. These minor rural roads (or 'country lanes') are at most wide enough for two standard-size cars to squeeze past each other, but are usually barely wide enough for cars to pass each other or even for a car to pass a bike or pedestrian. 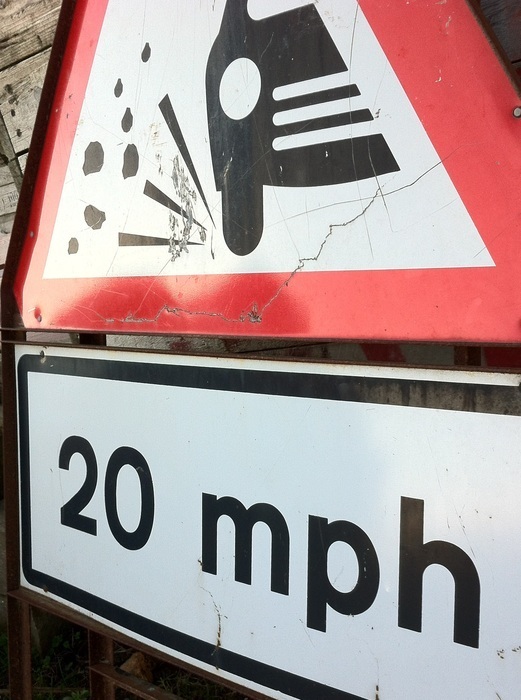 What does this mean about suitable driving speeds? The natural assumption is that these narrow roads can only be driven at slow speeds and with great care for oncoming traffic. What actually happens is that these narrow lanes are frequently driven at high speeds, forcing vulnerable traffic (pedestrians, cyclists) into the verge. Speed limits are an obvious solution, but how to do this without covering the countryside in road signs? The solution is obvious: roads without centre road markings carry a mandatory 20mph speed limit. This clearly covers all narrow country lanes, but also naturally covers roads that have just been resurfaced and need a low speed limit until the new surface has bedded in. The principle is that a road that is too narrow for a centre line is too narrow for any kind of high speed. Please comment below with your own thoughts, whether or not you agree with me! You can also read a number of (opposing!) views from friends, on my Facebook post: Here's my proposal for making country lanes safer. The Times campaign is really big, although I don't know whether it will keep enough momentum to get things improved. It's a shame that it took a journalist to be crushed by a lorry and end up unconscious for months on end, for action to be taken.